The managing editors have been publishing hard cover directories and recognizing professionals for over 30 years. 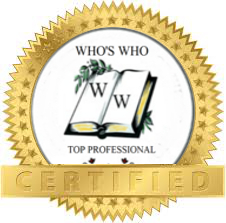 The Top Professional Editions, further our mission toward raising the awareness of the individual accomplishments of leading professionals. Each member that is recognized in our publications represent the men and women who have succeeded in reaching their individual goals through education, dedication and a vision toward the future.